With a dedicated 'New Products' section of our website, Twistfix aim to keep our range of damp proofing, anti-condensation and masonry repair products as comprehensive as possible, continuing to fulfil the changing needs of our customers. Supplying high-quality tools and materials to the construction industries and DIY enthusiasts, Twistfix continue to maintain a reputation for quality, reliability and high levels of technical skill. Joining the already-extensive Twistfix range of damp treatments is the All Cure Total Damp Treatment Kit. This universal three-in-one system is designed to effectively halt rising damp and block penetrating damp while having an overall reducing effect on levels of condensation in the area it is applied to. Eliminating the need for a selection of products by offering this triple-protection against any kind of damp, the All Cure kit is an ideal way to cure a multitude of problems. All Cure Total is available in a choice of two kit sizes. A small set includes 3 cartridges of damp injection cream while a larger 6-cartridge set is the standard, containing sufficient Damp Cure injection cream to treat 10 linear metres of traditional cavity brickwork or solid wall up to 215mm thick. A simple step by step guide to chemical damp proof coursing is available on the Twistfix website. Both kits include a 1 metre high mesh membrane in lengths of 5 or 10 metres and come complete with 80 or 160 strong fixing plugs. 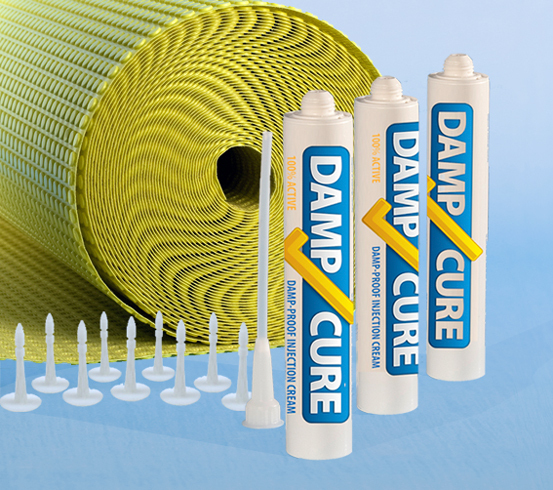 3mm air-gap studs feature throughout the damp proofing membrane and protect plastered finishes from the damaging problem of penetrating damp which can be caused by high pavements or blocked cavities. 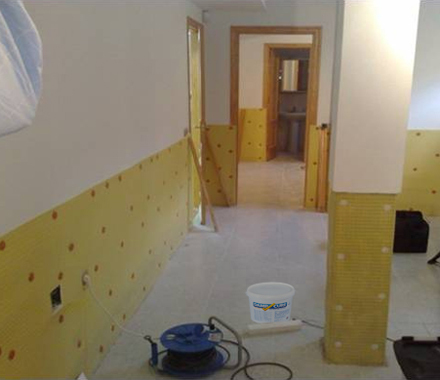 Incorporating a nylon mesh that allows plaster or dot-and-dab dry-lining to be directly applied, the damp proof membrane delivers a warmer wall surface,­ reducing prospect for condensation problems. All Cure Total provides an instant physical barrier between damp walls and internal finishes, meaning decorating and plastering can be carried out when the treatment is completed, without the extra time required to wait for walls to dry thoroughly. For more information on this product or any of the Twistfix range of treatment for damp, please contact a member of our skilled team. Call 0845 123 6006 or email sales@twistfix.co.uk.